The Mirror: Psychology & Islam ... Science & Islam ... Islamization!!! Psychology & Islam ... Science & Islam ... Islamization!!! The whole idea of this post has come from visiting another blog and reading a post about a book on Personality & Islamic ideas. I remember my high school years in Tehran. Of course we had Classes of Religion(which was Islam) & Quran. Aisde from these we had another course called ethics, but was totally islamic thoughts. Our History lessons were mostly about Islam & Islam history and ... Geography class was also a session to somehow revise the world of islam and the people of it. We also had sociology which was a great opportunity to teach us more of Islam. Literature was full islamic ideas & Muslim poets & writers & their thoughts & believes. We were wondering it will be some time that perhaps there will be some other aspects of Islam in math & physics & chemistry although where ever there was something just a little related to Islam in these subjects , there was no skip; like when we were about to read about "alcohol" & we know that its Explorer was Razi & he was muslim too, sure we must knew that he was a good muslim & he prayed every day and went to mosque & he never intended to find out alcohol for drinking & he knew its gonna be "non- halal" in islam & ... so this was also about even chemistry. Today in all universities in Iran, there are also interesting topics & subjects which are Islamic. Humanity science is totally broken in to Islam, over there. It's like all these science were born with Islam. they pretend that all these topics have nothing to offer if they have not been Islamized. 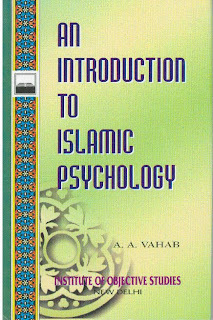 Sociology, Anthropology, Psychology are the main fields where islamic thoughts have interferred seriousely. The reason is obviously a fear. A fear that deep inside every religion nowadays lives. A fear of losing the competition to science. I hear from friends in Iran, when they go to counseling sessions with graduates of Iran's universities in counseling fields; most of my friends are disappointed by the way these graduates treat them & look at their problems. Family problems, Marriage issues, Addiction, Stress, Depression or what ever you may call many problems may have something to do with one individual's belief system however who said that this belief system must oblige from any specific religion. Does this sort of categorizing means that all those people with great believes in religion never face any life issues or problems? You say please ! what do you think?